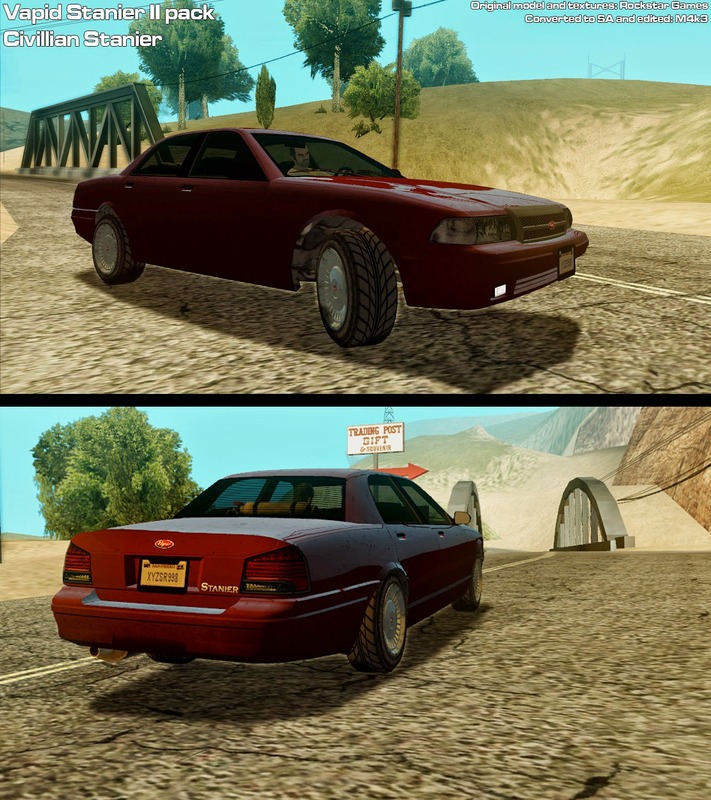 Vapid Stanier II pack from GTA V converted to GTA San Andreas and edited by M4k3. 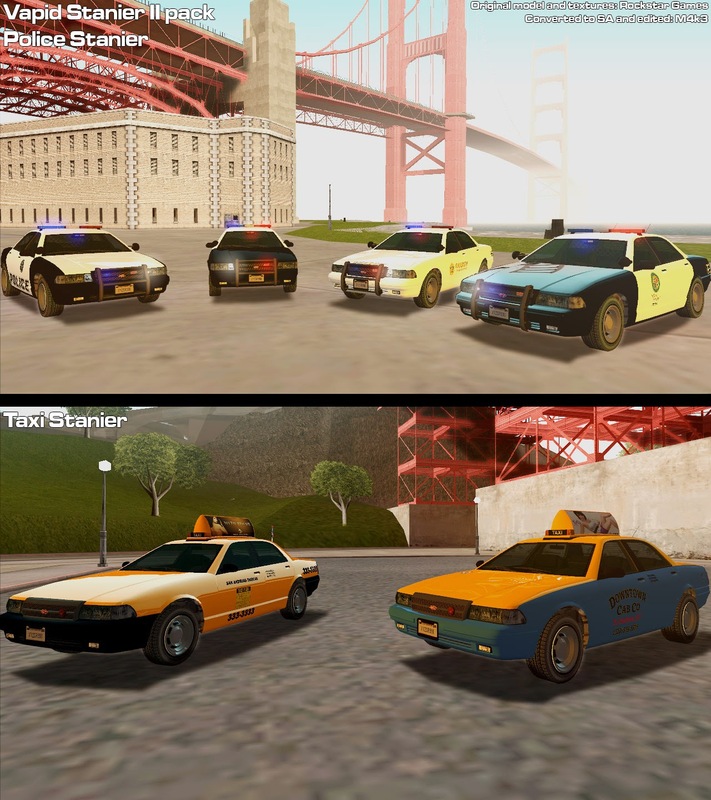 Includes Vapid Stanier II civillian, Police Cruiser based on Stanier II and Taxi based on II. 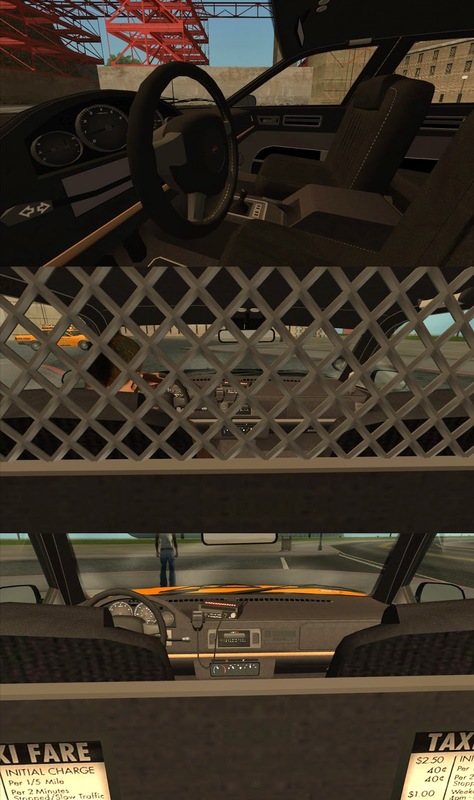 -ImVehFt and Active Dashboard 3.2.1 adapted version is included too (detailed interior, custom colours, fully working lights, break hubs, working dashboard gauges and steering wheel). -1 (4- ImVehFt version) colours support. 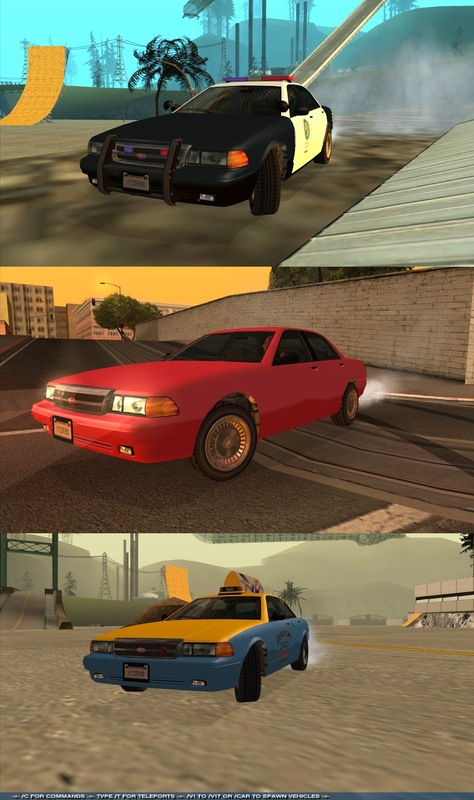 -4 police liveries (LSPD - default, LSCS, SFPD, LVPD). -Custom police lights settings (ImVehFt only - file is stan.eml). Pretty cool pack. Although it would have been alot cooler, if you had included a classic police lights of the Stainer, which is the one I like alot more than the LED version that you included instead, which LED lights, I'm not really a big fan of them, as they look smaller and way too thin. I always like the classic lights more because they always suit those LAPD-style cars better.